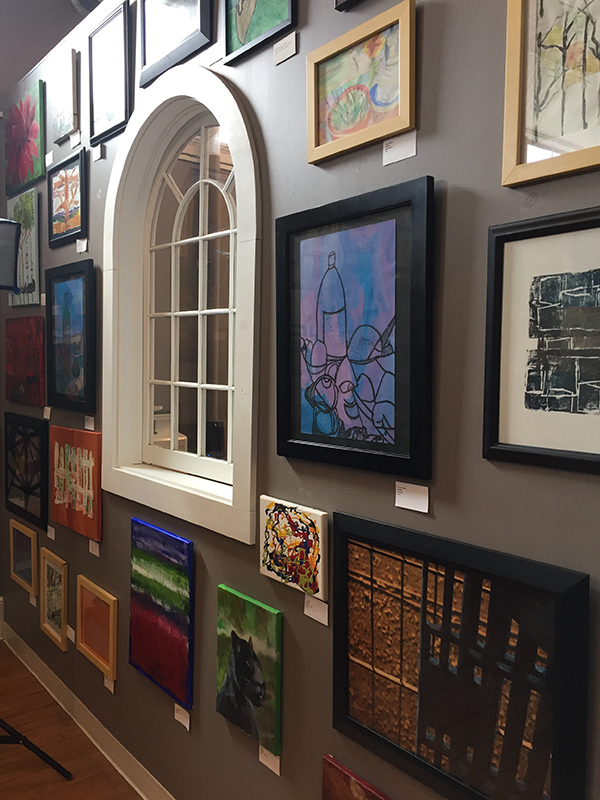 Element of Art is a non-profit art gallery that showcases the talents and offerings of professional artists living with developmental disabilities. Our space offers gallery for exhibition and sale of artwork, as well as working studio space, both for the artist and the public to work alongside each other through a variety of events, including offered classes. Element of Art allows our artists to pursue and maintain careers as fine artists and connects the community with their incredible work. Discover the one-of-a-kind paintings, photography, jewelry, and sculptures of over 70 contracted professional artists who are as creative and unique as their work. When you purchase art from Element of Art Studio, not only are you getting a high-quality piece of art, you are also supporting local artists with developmental disabilities in the Richland County area. When you connect with our artists in an upcoming class, you will leave our studio with both a piece of beautiful artwork and an unforgettable shared experience, sure to impact both you and the artist. Chelsea Means is a practicing fine artist and a native of Mansfield, OH. She has been involved with the Downtown community for the last 7 years. She is an alumni of Savannah College of Art and Design with a variety of art gallery experience. She is excited to be back home to curate, teach, inspire and be inspired by the community of Mansfield and surrounding areas. Stop in to see a variety of extraordinary art by our massively talented Artists! If you're looking for something uniquely colorful, check out this beautiful painting. On a mint green background, this painting shows 3 lemons resting on a dish.